Schulte’s at Plainland is a family operated business continuing to thrive and grow between generations. Peter Wolfgang Schulte founded the business in 1952. He was born in 1932 in Germany, at a time when Germany was at war with the world. He witnessed death and destruction on a scale that nobody should have to experience, let alone a young boy. He trained and did an apprenticeship as a master butcher and at only 20 years of age and speaking very little English, he arrived in Australia with only 1 suitcase, a change of clothes and still having to pay off his boat fare to Australia. At the time his intention was to eventually travel to Canada where he had hopes of training as a chef. 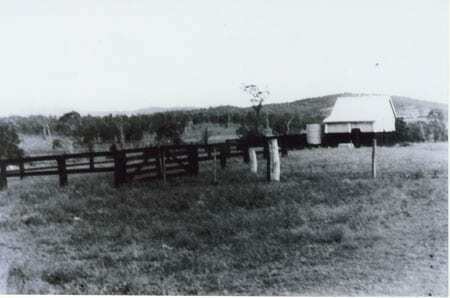 On his arrival in Australia he was moved to an area outside of Brisbane with a large German population whilst waiting for his transfer to Canada. 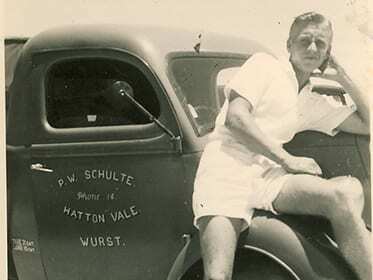 At Hatton Vale in the beautiful Lockyer Valley he was taken into the German community that was centred at the Apostolic Cathedral and worked on his English. At Easter Peter Wolfgang was at a function with his German mates, when they all noticed a drop dead gorgeous girl! Dad, running true to form of always doing what he sets out to do, said “That’s the girl I’m going to marry! !” And he did! And the drop dead gorgeous girl became Sylvia Schulte. One of the main constants in Peters life was his loving wife Sylvia and their 5 children, Richard, Marianne, Paul, Rolf and last but certainly not least Peter Jnr. He strongly believed in the strength of family values at home and at work and his patriarchal style of management saw him grow his business into a force to be reckoned with very swiftly. Right from the start all family members were expected to contribute to the business. Many people in the Lockyer Valley would have been familiar with the Schulte’s ute being driven by Sylvia doing her deliveries! 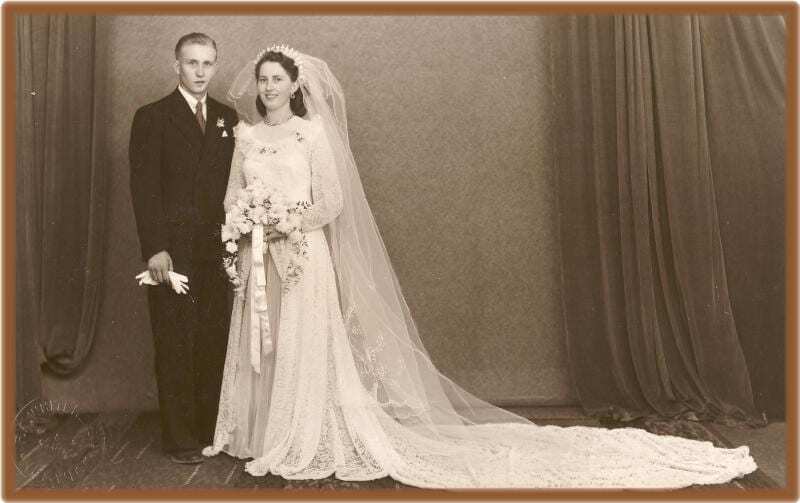 Peter and Sylvia’s first steps into business was to build an abattoir and their first retail butcher shop, which was situated South of the Warrego Highway next to the Plainland Hotel. 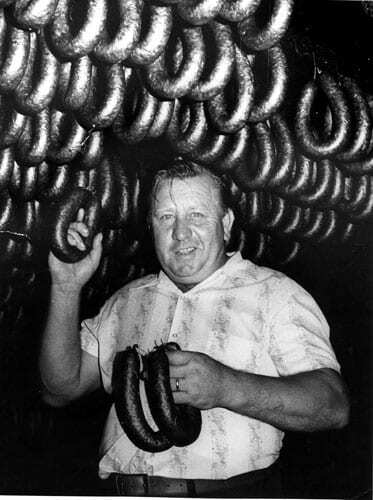 Within a short time of starting the business Peter began manufacturing an array of German sausages and other smoke and cured meats. With the area having such a strong German ancestry together with the German culture of hard work farming families, this proved to be an instant success. Sylvia’s Apostolic faith has always been exceptionally strong and the community embraced the “Schulte” family in its success. Richard, Paul and Peter all undertook apprenticeships in retail butchery, small goods manufacturing and meat inspection under Dad’s watchful eye. Brother Rolf was happiest tending the family farms. In 1975 Schulte’s was relocated over to the North side of the highway when the Warrego Highway was widened to 4 lanes. Peter Snr passed in January 2007 to cancer. Not only was a great dad lost but a hole was left in the business as a partner, boss, mentor and good mate was gone. His presence is still felt strongly in the business today. Today Peter Jnr is the Managing Director of Schulte’s. In 2006 the site was redeveloped at Plainland and Schulte’s Central was born. Schulte’s now boasts 380sqm of retail and 385sqm of factory as well as a further 795sqm of mixed retail and medical services. The 3rd generation of Schulte’s are now working and growing the business so stay tuned for more exciting things to come for Plainland.